We’re offering the overhaul of the Non-M SMG (often referenced as SSG) clutch actuator from the 5-speed SMG gearbox. The gearbox was fitted only to the BMW 3-series E46. The actuator will be fitted with a seal manufactured by a specialized company from Germany. It’s perfectly meeting the requirements of the hydraulic fluid and is suitable for the extreme conditions in the SMG system. If necessary, we also grind the inner wall of the cylinder. The clutch actuator (clutch slave cylinder) is probably the biggest vulnerability of BMW’s SMG gearboxes. Especially with high mileage the chance increases, that the part develops a leakage. According to this defect, the SMG system is not able anymore to engage the clutch properly. The gearbox refuses to engage the clutch or does this only while stuttering or shaking. 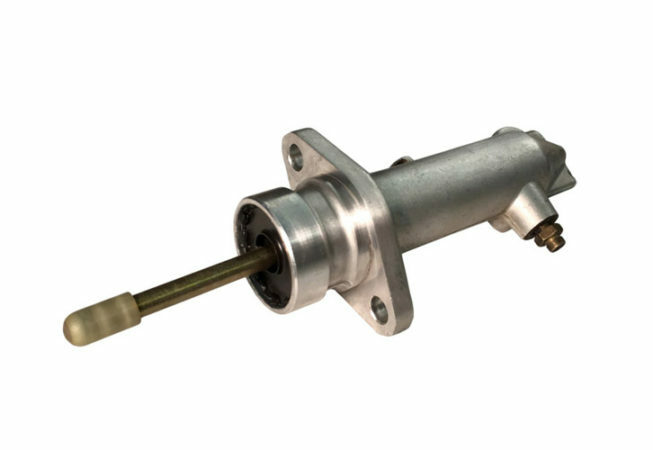 Moreover the hydraulic oil is leaking out of the actuator and often dripping on the clutch, which makes it unusable. There are some tutorials going through forums, saying to fix the SMG actuator with the original clutch slave cylinder repair kit from the manual transmission. This solutions is not recommendable, because the seal is not fitting – neither the rubber specifications nor the measures are compatible. Already after a few month the seal starts to disperse and causes irreparable damage of the entire SMG system. In this case you send us your actuator (to Germany) and we’ll refurbish it. Normally we can send back the part on the same day but for sure not later than on next day. This service is only available under certain conditions. If on stock, we’ll ship a pre-overhauled and ready-to-use actuator towards a deposit payment of 200€. You can change the part in one single repair process and the downtime of the car stays minimal. After the change you’ll send back the leaking part and we’ll refund the deposit. The shipping back to Germany is paid by the buyer! In general the part must be in a repairable condition, which means no damages besides the normal attrition during operating. Remind: the displayed price on this website does not include the deposit money.